Cake! We get so excited just hearing the word. However if you are a bride-to-be who needs to choose a wedding cake, it can be an overwhelming decision. There are so many different options available in the cake world today. From flavours to style – the possibilities are endless. For today’s blog, we thought we’d focus one important area to help make your decision easier – icing. You might have heard the term “It’s icing on the cake”? There’s a good basis for this saying since icing makes your cake even better. How do you know which one to choose? Thanks to a great chart from wilton.com, we thought we’d give a quick Icing 101 lesson. Buttercream Sweet, buttery flavor. Tastes the best and looks beautiful for most decorating Thin-to-stiff consistency depending on the amount of corn syrup or sugar added (sugar stiffens). Icing cakes smooth, borders, writing. Most decorations including roses, drop flowers, sweet peas and figure piping. Yields all colors. Most colors deepen upon setting. Let icing set 2-3 hours for deep color. Some colors may fade sitting in bright light. Icing can be refrigerated in airtight container for 2 weeks. Snow-White Buttercream Sweet, almond flavor. Ideal for wedding cakes. Thin-to-stiff consistency depending on the amount of corn syrup or sugar added (sugar stiffens). Icing cakes smooth, borders, writing, flowers. Most decorations. Air-dried flowers have translucent look. Flowers remain soft enough to cut with a knife. Yields truer colors due to pure white base color. Creates deep colors. Most deepen upon setting. Icing can be refrigerated in airtight container for 2 weeks. Iced cake can be stored at room temperature for 2-3 days. Royal Very sweet flavor. Dries candy-hard for lasting decorations. Thin-to-stiff consistency depending on the amount of water added. Flower-making, figure piping, making flower on wires. Decorating cookies and gingerbread houses. Yields deep colors. Some colors may fade sitting in bright light. 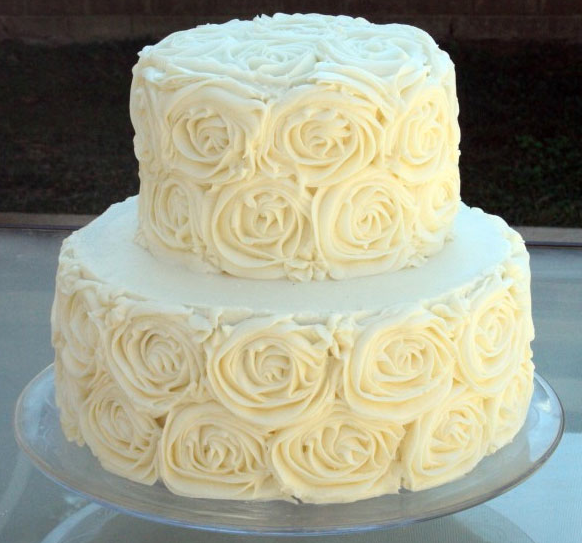 Requires more icing color than buttercream to achieve the same intensity. Icing can be stored in airtight, grease-free container at room temperature for 2 weeks. Air-dried decorations last for months. decorations. White yields pastels to deep colors. Wilton pre-colored fondant is also available in pastel shades and in Multi-Packs for fondant decorations in a variety of colors. Excess can be stored 2 months in an airtight container. Do not refrigerate or freeze. Iced cake can be stored at room temperature for 3-4 days. Quick-Pour Fondant Very sweet flavor. 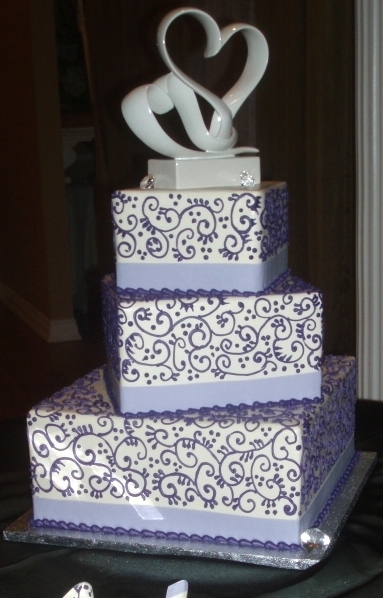 Covers cakes with perfectly smooth, satiny iced surface. Coats baked goods and seals in freshness with a shiny, smooth surface. Pours and dries to a semi-hard, smooth surface. All cakes, petit fours and cookies. Yields pastels. Use immediately. Excess fondant may be refrigerated, reheated and poured again. Fluffy Boiled Icing Marshmallow-like flavor, 100% fat free. Very fluffy consistency sets quickly. Icing cakes smooth and fluffy. Borders, figure piping, writing, string work. Yields pastels and deep colors. Use immediately. Stabilized Whipped Cream Creamy, delicate sweetness. Light, thin-to-medium consistency. All cakes but especially those decorated with fruits. Borders, large tip work, writing. Yields pastels only. Use immediately. Iced cake must be refrigerated. It’s interesting to see the questions you need to ask yourself when choosing an icing. For example, if you need bright colours, consider a royal, boiled or buttercream icing. Knowing when your cake will be served is also very important. For example, if your wedding is in a venue with no fridge, you can’t go for a whipped cream topping or filling unless the cake will be served immediately.